A mid-game scuffle. A big lead that almost vanished during the Elam Ending. A foul shot to win it. In a game that had a little bit of everything, Boeheim's Army hung on to defeat pesky Armored Athlete 73-69. Hakim Warrick (6'9''-F/C-82, college: Syracuse) hit a foul shot to reach the Target Score, sending Boeheim's Army to their second-straight TBT quarterfinals. 'We made the plays we needed to,' said Boeheim's Army coach Ryan Blackwell . Eric Devendorf (6'4''-G-87, college: Syracuse) led all scorers with 19 points for the Syracuse University alumni squad, which matched Armored Athlete's competitiveness level throughout a physical contest. 'It was just a competitive game,' said Devendorf. Arinze Onuaku (6'9''-C/F-87, college: Syracuse) added 18 points on 8-for-9 shooting for the victors, who opened the second half on 13-2 run. Stefan Moody (5'11''-PG-93, college: Mississippi) led the way with 16 points in just 18 minutes for Armored Athlete, which could not recover after being outscored, 20-11, in the third quarter. It was Summer, 2015, and Errick McCollum (6'1''-G-88, college: Goshen) had a family vacation planned. But, McCollum's agent, Drew Morrison, had other ideas and was begging his client to play in The Basketball Tournament, then in its second year of existence. Morrison's team, Overseas Elite, needed a fifth player for the opening game, and he needed McCollum. The point guard reluctantly agreed to play. Twenty-five consecutive wins later, McCollum is glad he bypassed the vacation. That Saturday afternoon at Clayton State University, a dynasty was born, and it continued on Friday night with Overseas Elite's fourth consecutive TBT title. Justin Burrell (6'10''-F-88, college: St.John's) scored 15 points, including the final one on a free throw that hit the Target Score, sending Overseas Elite past Eberlein Drive, 70-58. Tournament MVP DJ Kennedy (6'6''-F-89, college: St.John's) and McCollum scored 14 points apiece for the winners, who outscored Eberlein Drive, 18-8, in the fourth quarter. McCollum was asked to sum up the historic nature of his team's run. Jerome Randle (5'9''-PG-87, college: California) and Donald Sloan (6'3''-G-88, college: Texas A&M) tallied 14 points apiece in the losing effort for Eberlein Drive, which was undone by 22% three-point shooting and 53% free-throw shooting. Three time's a charm? Certainly, Ram Nation hopes so. Having been sent home by eventual champion Overseas Elite each of the past two summers, Ram Nation is hungry to get the proverbial monkey off its back by finally taking down the TBT Goliath. But, beating Overseas Elite would mean doing something that no team has been able to in 22 games over four summers. The three-time champions barely escaped against #4 seed Louisiana United on Thursday night, relying on a Jeremy Pargo (6'2''-PG-86, college: Gonzaga) free throw to reach the Elam Ending Target Score. Now, they are hungry to return to Baltimore in the hopes of capturing a fourth straight TBT crown. Winners of $5 million in prize money over three summers, Overseas Elite can beat its opponent in so many ways. Justin Burrell, who has made 74% of his field goals, handles the inside, while Errick McCollum (15.0 ppg) can score from the outside. TBT's all-time leading scorer, D.J. Kennedy (15.7 ppg, 8.3 rpg), does it all. Brandon Rozzell and Reggie Williams, averaging 17.7 ppg apiece, carry the offensive load for a deep Ram Nation squad. The VCU alumni squad can beat opponents with its trademark defense or with its scoring, which comes from the outside with sharpshooters Rozzell and Williams or from the inside with James Farr. A battle of alumni teams will determine the winner in the Northeast Region. Boeheim's Army is shooting for a return trip to Baltimore, while the Golden Eagles try for their first-ever Regional title. Eric Devendorf (6'4''-G-87, college: Syracuse), a four-year member of Boeheim's Army, led all scorers with 19 points in a highly-charged Super 16 victory over Armored Athlete. Besides Devendorf, Boeheim's Army possesses strong guard play. Brandon Triche and John Gillon can both score and are comfortable on the top of the 2-3 zone that coach Jim Boeheim has made synonymous with Syracuse. Boeheim's Army is also strong inside, with former NBA players Arinze Onuaku and Hakeem Warrick filling the lane. The Golden Eagles won't hesitate to shoot the long ball and will sometimes keep shooting it until they get hot. 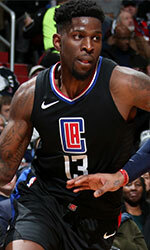 Jamil Wilson, who played with the Los Angeles Clippers this past season, hit back-to-back three-pointers in the Elam Ending to defeat the Talladega Knights in the Super 16 and is averaging a team-high 24 points. Maurice Acker solidifies the backcourt, and veteran shooting guard Travis Diener can still knock down three-pointers. The mantra is that defense wins championships. But, what if that defense has to play against an offensive talent like Jimmer Fredette (6'2''-PG-89, college: BYU). Scarlet & Gray defensive whiz Aaron Craft will get the chance he always wanted as a collegian: to guard Fredette, TBT's leading scorer at 34 points per game this summer. Craft and his Ohio State University alumni squad will have their hands full corralling Fredette, the former BYU star who poured in a 2018 TBT-best 41 points on 13-for-21 shooting in Friday's win over the Fort Wayne Champs. Forward Brandon Davies (15.0 ppg) and guard Ra'Shad James (13.7 ppg) complement Team Fredette's scoring. Guard Jeff Ledbetter, who went 5-for-8 from three-point range on Friday night, can shoot from deep, and point guard Brandon Crawford controls the transition game. Scarlet & Gray returns to the Midwest Region title game for the second straight year, hungry to return to Baltimore to claim TBT's prize. Team Challenge ALS defeated Scarlet & Gray in overtime in last year's semi-final. Craft, who posted his best offensive game of TBT 2018 on Friday night with a 13-point, nine-rebound and six-assist stat line, will be tasked with tracking down Fredette on the defensive end. With Jared Sullinger's status in question, Scarlet & Gray will once again turn to Greg Oden. Oden, the top overall pick in the 2007 NBA Draft, filled in for Sullinger on Friday night and posted 11 points in his TBT debut and will be back on the court again on Sunday. Guards Jon Diebler and William Buford can shoot from long range, and guard David Lighty contributes on both ends of the floor. Team Challenge ALS, focused on redeeming its last-second loss to Overseas Elite in last year's title game, seeks a return trip to Baltimore. Eberlein Drive, the lowest-seeded team remaining, is one of five original TBT teams and is looking to win its first-ever Regional Title. Cinderella meets the Redemption Tour. Eberlein Drive, once ranked by Sports Illustrated as TBT's worst team, is one win away from a Regional Title. Team Challenge ALS has been one a one-year redemption tour following its last-second loss to Overseas Elite in last year's title game. Alex Kirk and Willie Reed complement Randle as offensive threats, and NBA veterans James Michael McAdoo and Jeremy Evans should both contribute. Sean Marshall is the emotional leader of Team Challenge ALS. As it did last last year, the team will donate a portion of its winnings to the fight against ALS. Team Challenge is among the most talented teams in the tournament. Keep shooting. That was the mindset for the Golden Eagles, and eventually, it paid off with a second straight trip to the Regional Championship game. 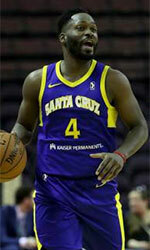 Jamil Wilson (6'7''-SF-90, college: Marquette) connected on back-to-back three-pointers in the Elam Ending, the second of which got the Golden Eagles to the Target Score, in a 73-66 victory over the Talladega Knights. Wilson finished with a game-high 24 points and was 7-for-12 from beyond the arc. Golden Eagles coach Joe Chapman focused on getting Wilson into the right spots to make big plays. Jerel McNeal (6'3''-G-87, college: Marquette) had 16 points for the Golden Eagles, and Elgin Cook (6'6''-F-93, college: Oregon, agency: BeoBasket) contributed 12 points. The Marquette University alumni squad saved itself in the second half by making 10 of 17 three-point attempts after going 4-for-22 from beyond the arc in the first half. Samme Givens recorded a double-double for the Knights, posting team highs with 18 points and 11 rebounds. Talladega, a #15 seed, had been the lowest-seeded team in TBT history to reach the Super 16.